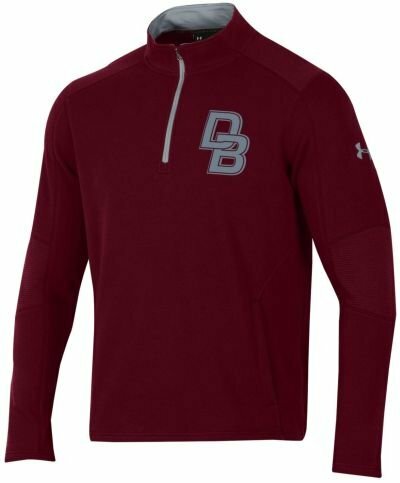 This Under Armour Pullover comes in maroon with steel accents on inside collar and zipper. 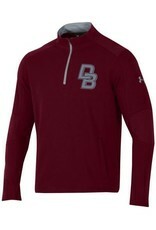 We have complimented this pullover by silk screening our interlocking DB on the left chest in steel. This item was so very popular we sold out of Small, medium and large at the Back-To-School Event in August. We are unable to restock this item. Grab this item while you can!!!! Dress code approved!